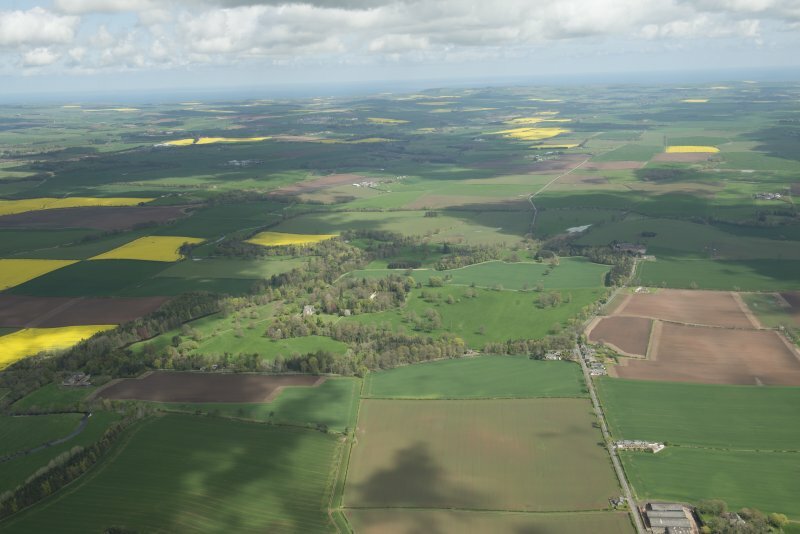 Oblique aerial view centred on the policies, taken from the WSW. 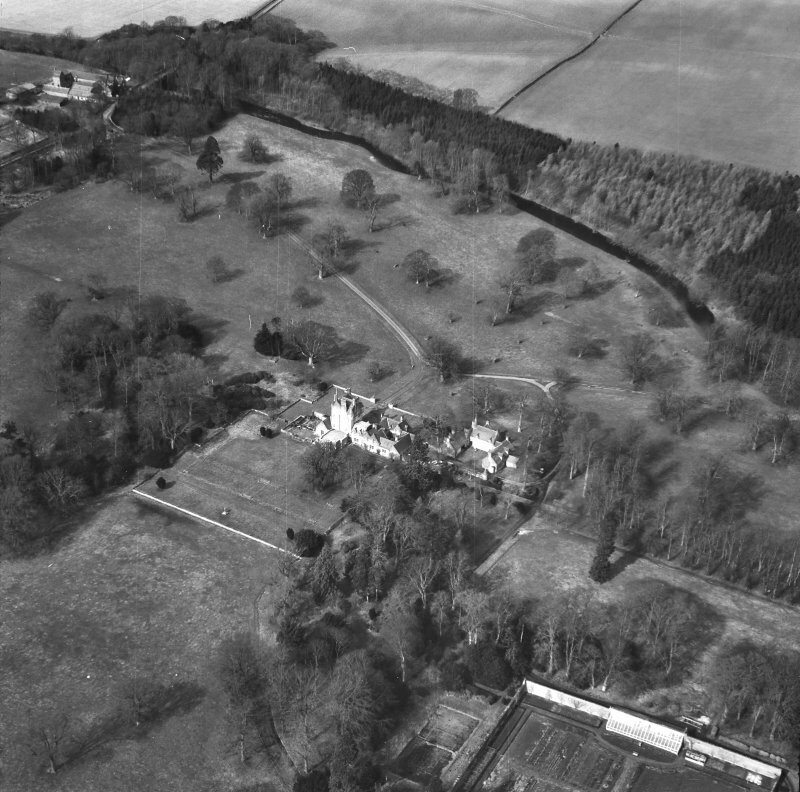 General oblique aerial view of Kimmerghame House, looking ENE. 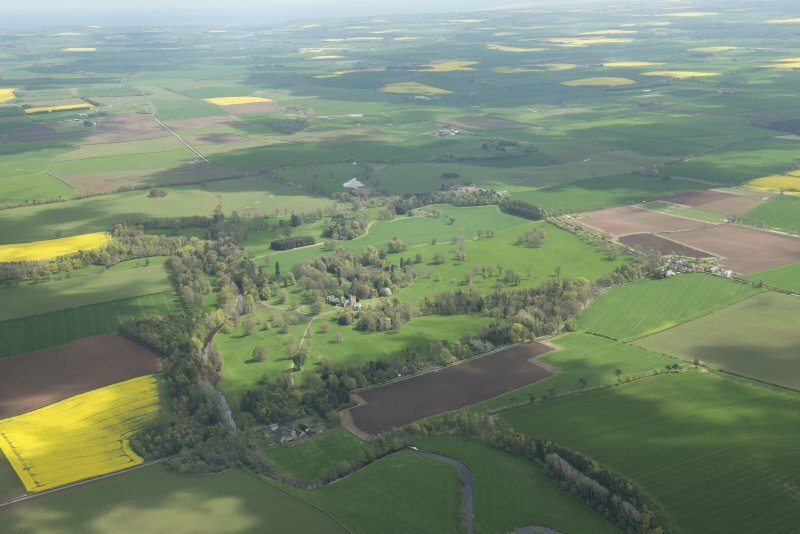 Oblique aerial view centred on country house from N.
Oblique aerial view centred on the policies, taken from the NW. 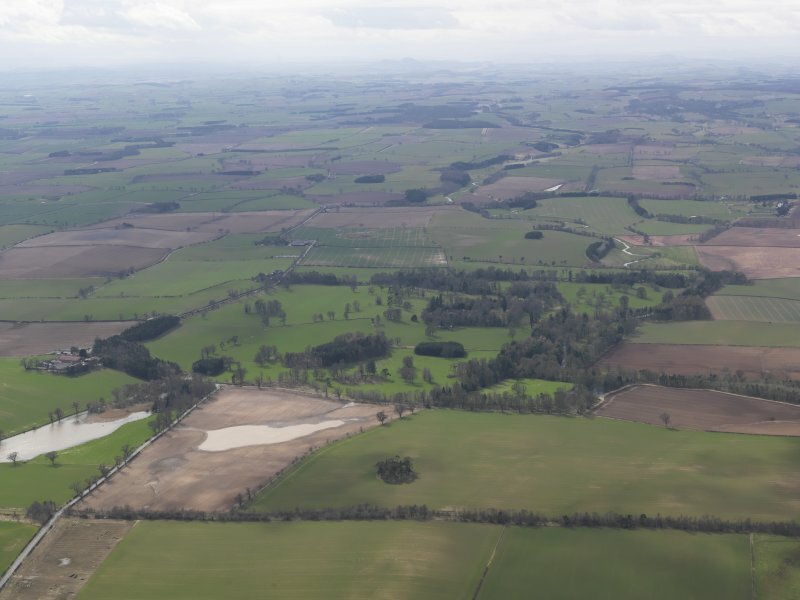 General oblique aerial view centred on the policies, taken from the ENE. 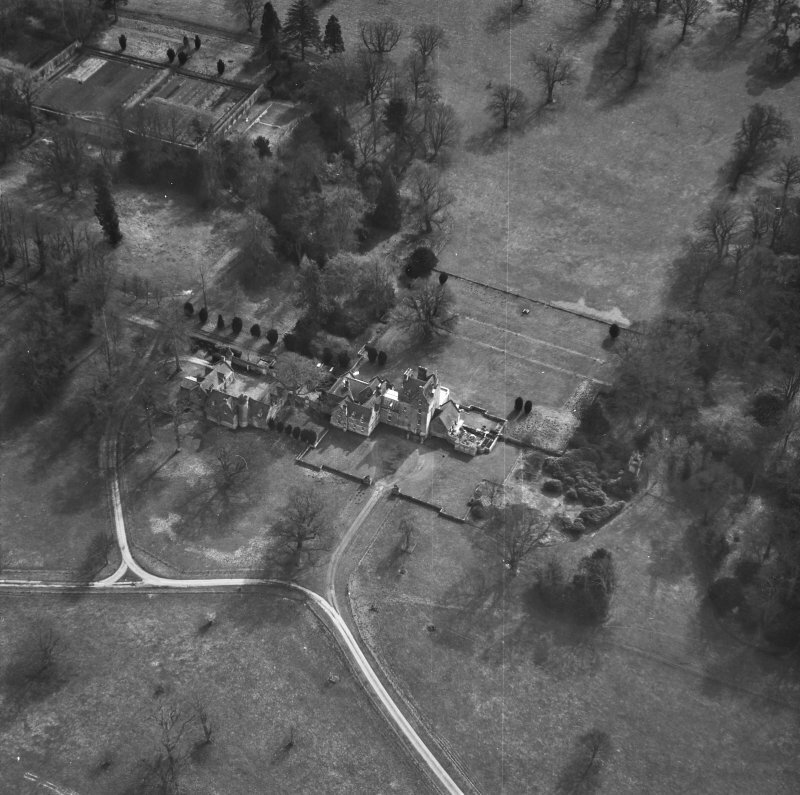 General oblique aerial view of Kimmerghame House, looking NE. 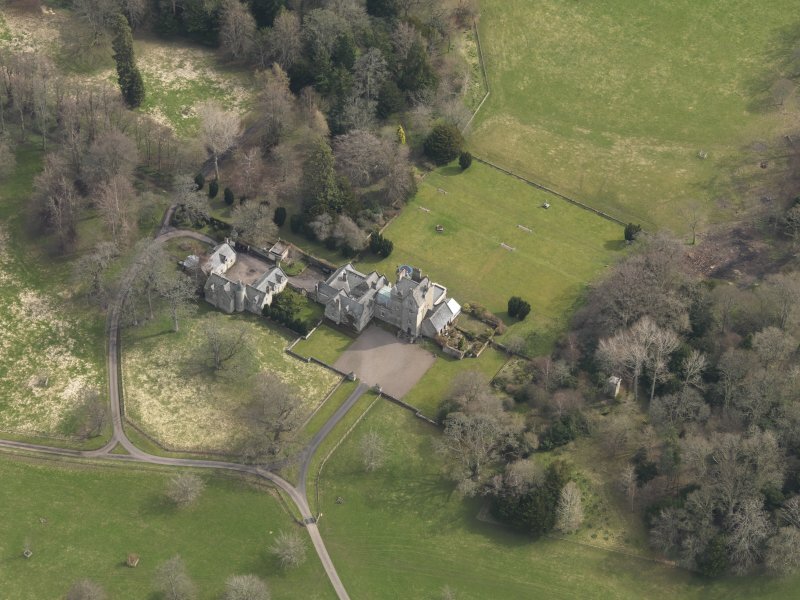 Oblique aerial view centred on country house from SE. 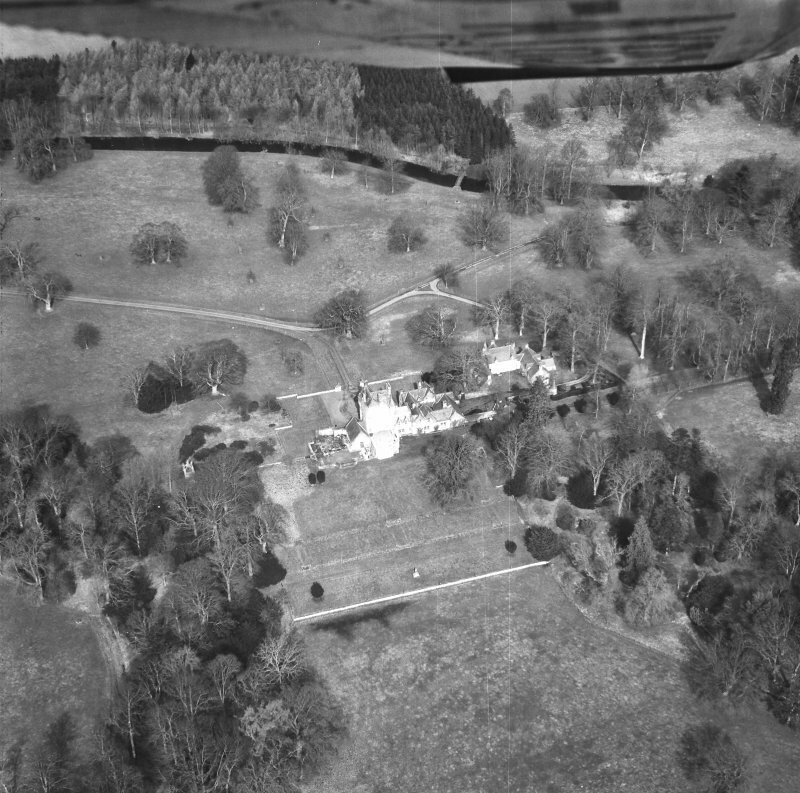 Oblique aerial view centred on country house from S.
Sir William Chambers? Design for new house c. 1770 (See also Manderston). 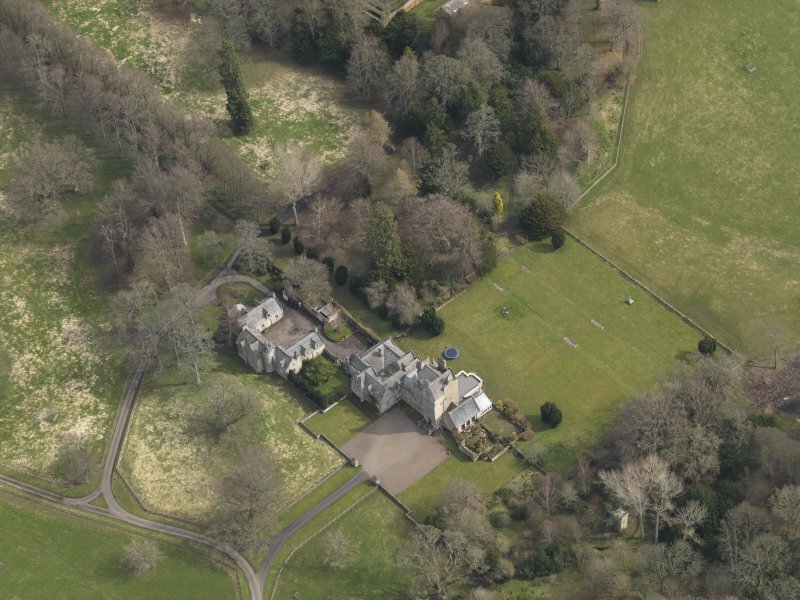 William Burn 1825: design for new house: not executed. William Burn 1821: design for new bridge not executed. Alexander Gilkie 1790 Designs for stables and court of offices. Inventory of Kimmerghame Drawings: typescript (R6(P27)). 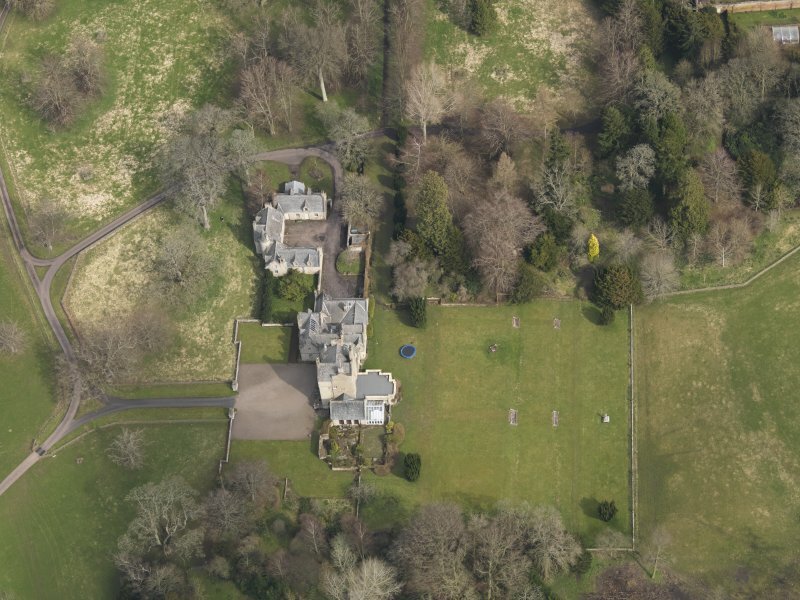 Scottish Baronial style mansion by David Bryce, 1851. 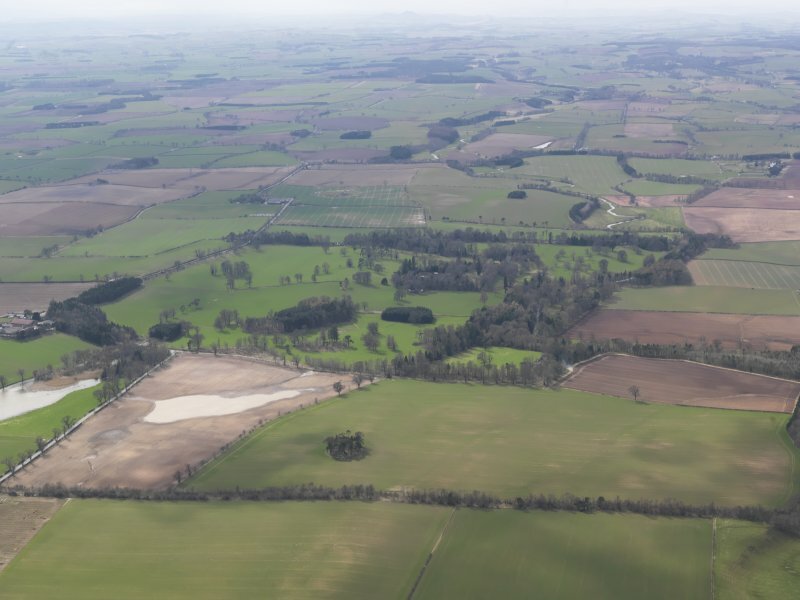 Destroyed by fire and now partly rebuilt. Sunken garden occupies part of the original site. 'The Travels of Mirza Itesa Modeen': family history in Great Britain, by James E. Alexander, 1827 - .